1. 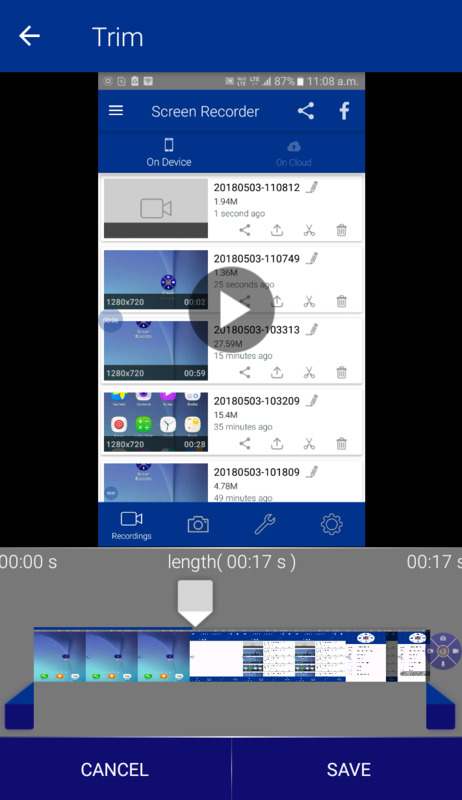 Open Screen RecorderÂ app and go to "recording" option. 2. 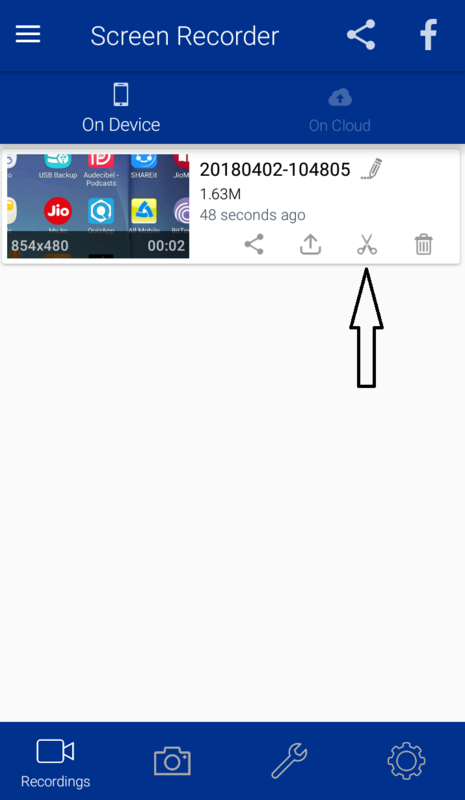 You will see videos recorded by you. 3. You can see a "scissor-shaped" icon on every video. 4. Click to the icon. 5. You can trim your video and save it.